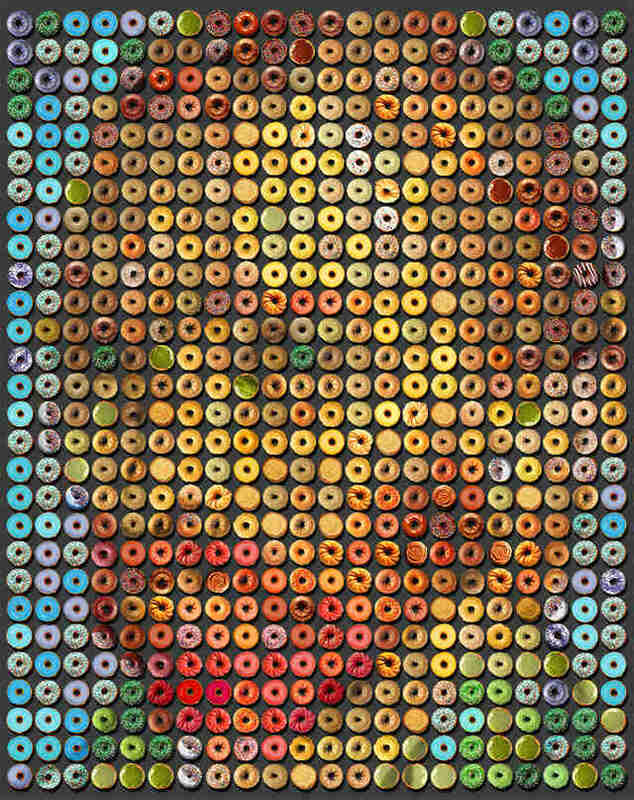 In the spirit of Chuck Close, artist Candice CMC creates large-scale portraits of iconic figures in something akin to photorealism. 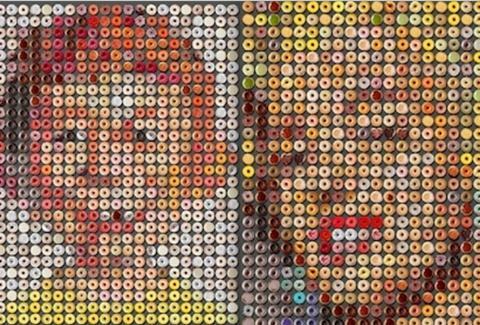 Only her portraits don't use paint, they're are created with donuts. 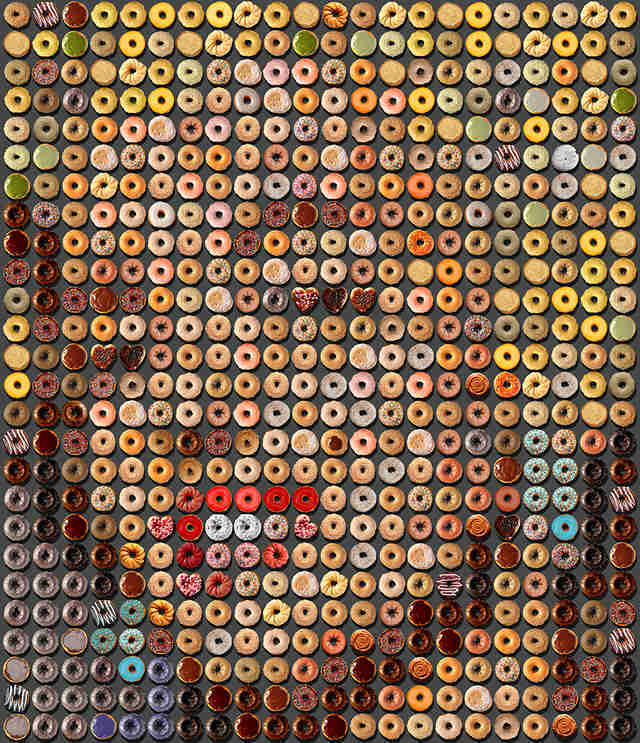 The visages of Vincent van Gogh, MAD Magazine's Alfred E. Neuman, and Marilyn Monroe are carefully crafted out of thousands of donuts in her mouth-watering work. 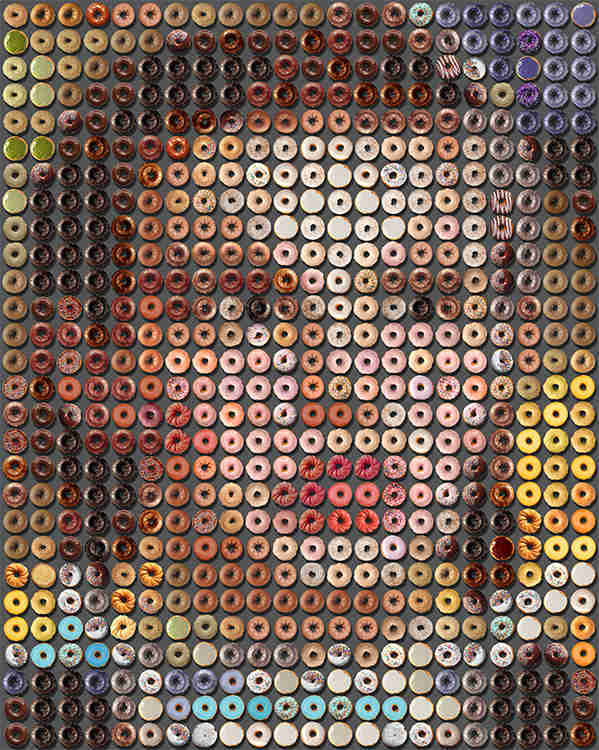 Up close the portraits look a bit like the display case at your local bakery, with evenly-spaced donuts spread across the paper, but as the viewer steps further back, the iconic faces (or sometimes dogs, in a new series) begin to form as the donuts look less like donuts and more like Pointillistic portraits. 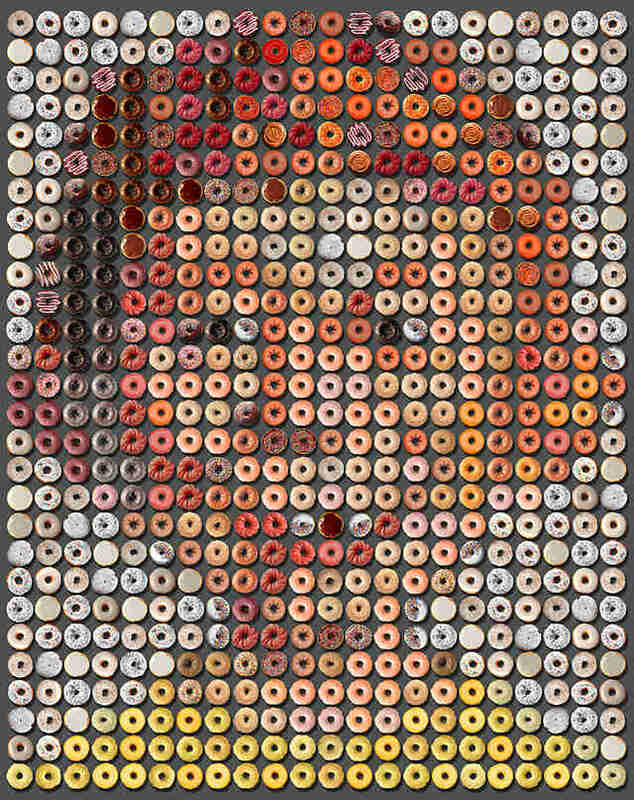 The delicious images aren't actually preserved donuts mounted on the wall, but thousands of photographs of real donuts, meticulously arranged by color and texture to reproduce these iconic faces. There's an element of Close in these, but they may have even more in common with the work of Devorah Sperber, who was also inspired by Close. 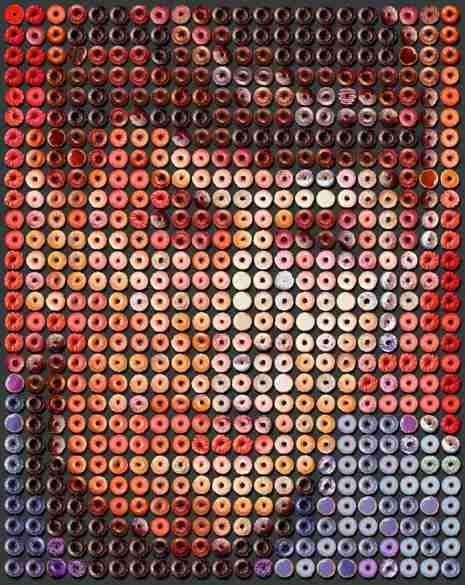 Many of Sperber's portraits are built out of spools of thread and pipe cleaners, producing a similar effect. In fact, CMC's portrait of Spock may be a nod to Sperber's many Star Trek-themed works. That includes three portraits of Spock from 2007 in her thread spool works series, and an entire Star Trek-themed exhibition of thread spools, chenille stems, and bead work in 2008, titled "Mirror Universe." 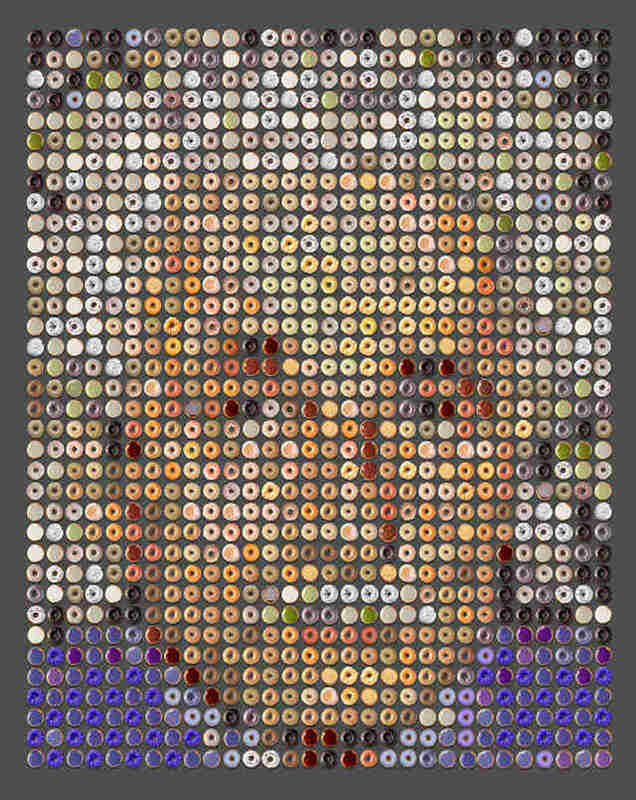 Even beyond the Star Trek connection, Sperber's similar work with the faces of cult-status stars seems unavoidably linked to CMC's portraits (they have both down portraits of Monroe as well). CMC, an artist, photographer, and graphic designer, currently has these portraits on display across Europe. 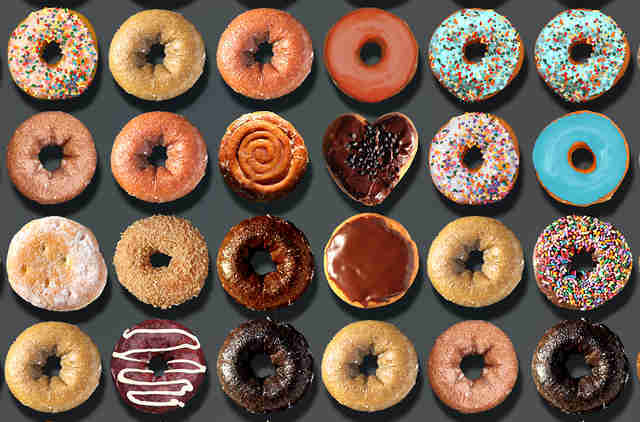 However, many of them are for sale right now, with prices ranging from $12,500 to $3,000. Dustin Nelson is a News Writer with Thrillist. 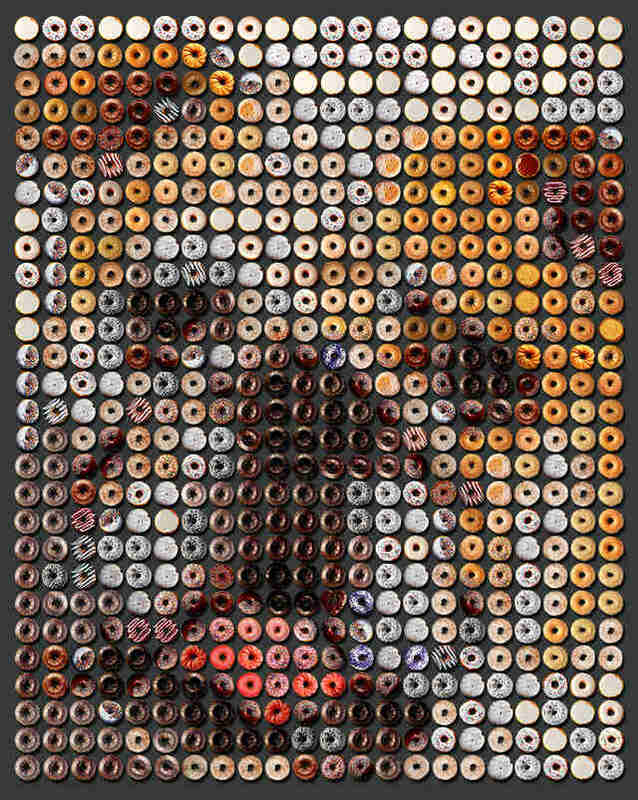 He would like to someday sit for his donut portrait. Follow him @dlukenelson.